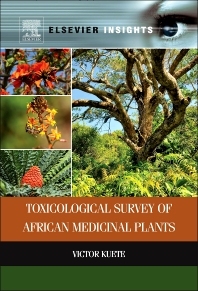 Toxicological Survey of African Medicinal Plants provides a detailed overview of toxicological studies relating to traditionally used medicinal plants in Africa, with special emphasis on the methodologies and tools used for data collection and interpretation. The book considers the physical parameters of these plants and their effect upon various areas of the body and human health, including chapters dedicated to genotoxicity, hepatotoxicity, nephrotoxicity, cardiotoxicity, neurotoxicity, and specific organs and systems. Following this discussion of the effects of medicinal plants is a critical review of the guidelines and methods in use for toxicological research as well as the state of toxicology studies in Africa. With up-to-date research provided by a team of experts, Toxicological Survey of African Medicinal Plants is an invaluable resource for researchers and students involved in pharmacology, toxicology, phytochemistry, medicine, pharmacognosy, and pharmaceutical biology. Dr. Victor Kuete is a scholar-scientist at the University of Dschang, Cameroon. 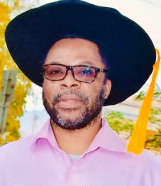 Dr. Kuete has been a fellow of TWAS (2007), AUF (2008), DAAD (2009), University of Mainz-Germany (2010), Alexander von Humboldt (2012-2014), etc., and International Foundation for Science Grantee (2008-2009; 2012-2013). His Research Programme is focused on Pharmacognosy and Dr. Kuete mainly investigates African medicinal plants and isolated compounds as potential antimicrobial, antiviral, anti-proliferative agents. Dr. Kuete is the author of more than 120 scientific publications related to the bioactivity of medicinal plants and their derived products, and has also authored several books and more than forty book chapters.